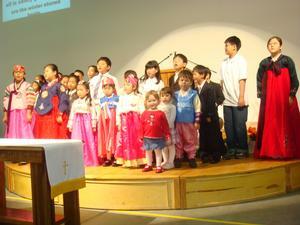 The Atlantic Korean-American Presbytery was established by the Synod of the Mid-Atlantic in 1998. It is the 14th Presbytery of the Synod with a purpose to serve Koreana-American churches throughout the Synod. The picture is taken from the Presbytery website and clicking on the picture will link to the site. However, the site is in Korean.